Wairarapa-Bush have sprung a selection surprise ahead of today’s opening Heartland Championship match against Poverty Bay in Gisborne [2.30pm]. Inia Katia was the form halfback for Gladstone throughout the club season, but will start at fullback for today’s match. Assistant coach Deon van Deventer said moving Katia to the back was partly due to injuries within the squad, but also partly strategic. “We played him at fullback against Hawke’s Bay Saracens and his cover defence and energy from the back is probably what we need at this stage. Van Deventer said Katia’s ability to make tackles and steal the ball made him especially useful at fullback, where opposition players could often get isolated. The aim will be to move him to halfback when the opposition forwards are tiring, when his running game can be most damaging. “You bring him into nine in the second half and when there are more tired forwards, he can snipe around the edges and keep the forwards honest,” van Deventer said. Gladstone openside flanker Ryan Knell was left out of the squad due to the impending birth of his child, meaning Greytown’s Marcus Ale will start in the No 7 jersey. Tipene Haira has recovered from his injury and will take a spot on the bench, and van Deventer said having him back was a bonus. “He had a scan and got cleared on Wednesday. It has been a tough pre-season for Wairarapa-Bush, losing all three of their matches to the New Zealand Army, Wanganui and Manawatu Development respectively. If they are any chance of making the top four Meads Cup semifinals this year, it would be realistic to think Poverty Bay is one of the teams they would need to beat. 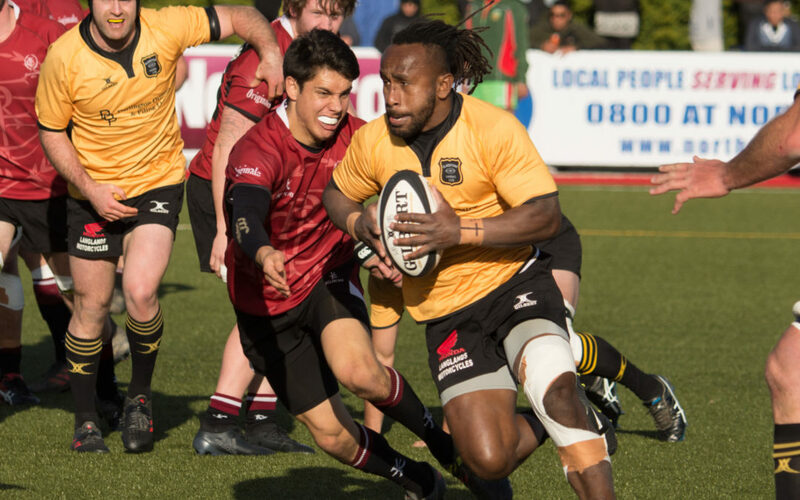 Poverty Bay finished the round-robin in eighth position last year, but lost their Lochore Cup semifinal to Mid Canterbury. Wairarapa-Bush finished 11th, with their one victory coming against East Coast. Scoring points was not an issue last season for Wairarapa-Bush – they averaged 22 per game. But defending was a real concern, highlighted by the opposition scoring a whopping 46 points per match on average. Van Deventer said the team had produced a good week of training in the lead-up to today’s match. “We had a good practical, physical session on Tuesday night with the Bs. Looking ahead at Wairarapa-Bush’s next couple of matches, they have a real chance to make an early statement. Next week they will take on Thames Valley in Masterton, followed by East Coast in Ruatoria. It will not be until week four that they will take on a team that finished in the top seven last year, and that will be when they host Buller, who were Meads Cup semifinalists last year. Inia Katia, Tristan Flutey, Matt Henderson, Michael Lealava’a, Thomas Potoru, Glen Walters, Patrick Gluck, Kirk Tufuga, Marcus Ale, Sam Shaw, Lachie McFadzean, James Goodger [c], James Pakoti, Nicholas Hohepa, Max Tufuga. Reserves: Lance Buchanan, Jeremiah Mapusua, Andrew Smith, Isaac Tavita, Epeli Rayaqayaqa, Nicholas Olson, Tipene Haira.